Artificial Intelligence (AI), the hot topic of the day for marketers, refers to different technologies that can mimic human intelligence. Capabilities range from voice recognition to content generation. Previously, only the largest companies could afford to invest in AI. Today, AI solutions exist that businesses of all sizes can implement. Machine Learning Techniques – Use algorithms to study historical data sets. Applied Propensity Models – Predict given events, such as scoring a lead based on the likelihood it will convert. AI Applications – Perform human tasks like answering questions. AI Generated Content – These solutions can extract elements from a data set to write an article. This application works best with regular, data-focused events such as market data and quarterly earnings reports. Producing industry-specific advice or opinions is best left to human content writers. Voice Search – This AI technology will change how you conduct SEO. When you understand how to leverage virtual assistants, you can increase your organic traffic significantly. Programmatic Advertising – Machine learning algorithms select appropriate media so you can target ads to the most relevant customers. Predictive Analytics – Using historical data, AI can help you predict behavior, such as whether a lead will convert to a sale, the price a customer will likely pay, or the chances of a customer making a repeat purchase. Lead Scoring – Using machine learning techniques, you can score leads based on established criteria. Lead scoring lets you optimize sales efforts, especially in B2B applications. Ad and Content Targeting – AI can process massive amounts of historical data to gauge campaign performance. You can then determine the most impactful ad placement and content strategies. Using re-targeting techniques, you can also identify the content that will likely bring customers back to your site. Personalization – AI applications can determine the stage of the buyer’s journey so you can tailor your content accordingly. Chatbots – By simulating human intelligence, chatbots interpret customer queries and complete tasks for them, such as placing an order. Predictive Customer Service – Securing repeat business from existing customers is always easier than attracting new customers. Predictive analytics assesses what situations and features can lead to a customer leaving your business. You can then engage these high-risk customers with personalized assistance and special offers. 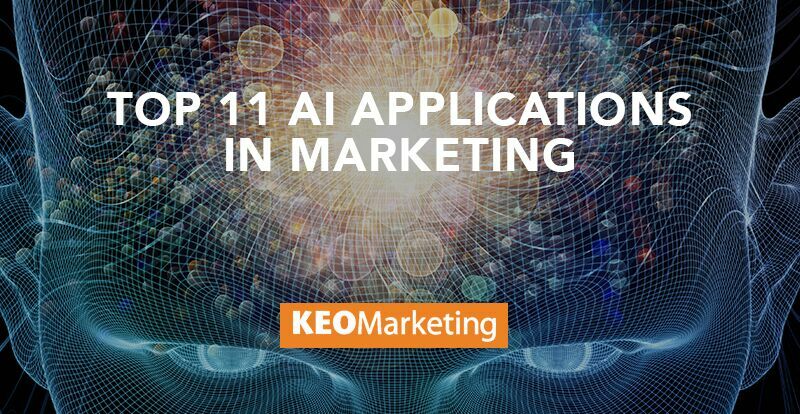 Marketing Automation – AI applications can evaluate customer data to provide valuable insights, including the best contact times and the most impactful subject lines. 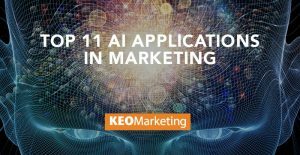 AI can have a tremendous impact on marketing performance. However, you must exercise care when implementing these technologies. Since AI solutions rely on a robust digital infrastructure, your results will directly reflect the quality of your data. With accurate data collection systems, AI can increase competitiveness, improve customer experiences, and transform businesses. KEO Marketing Inc., a leading marketing agency based in Phoenix, Arizona, develops and implements strategies to help clients significantly increase leads and sales. For more information and to request a complimentary consultation, contact us today.